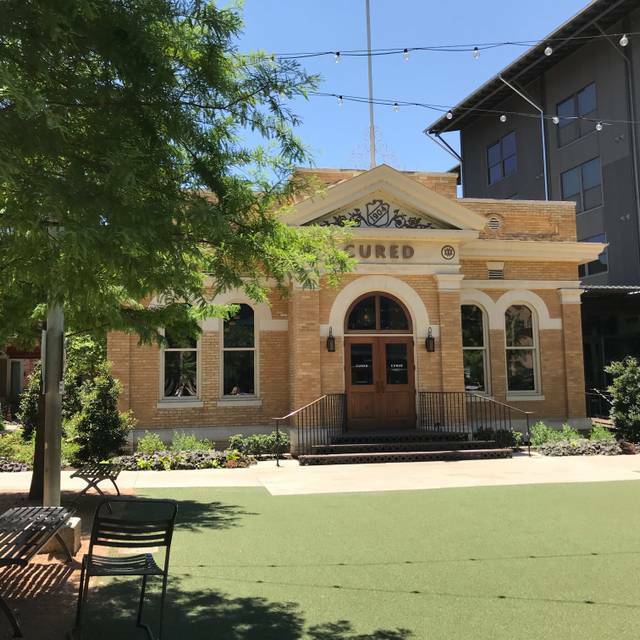 Cured – The gastro-pub style restaurant, in the heart of the Pearl District of San Antonio, TX. 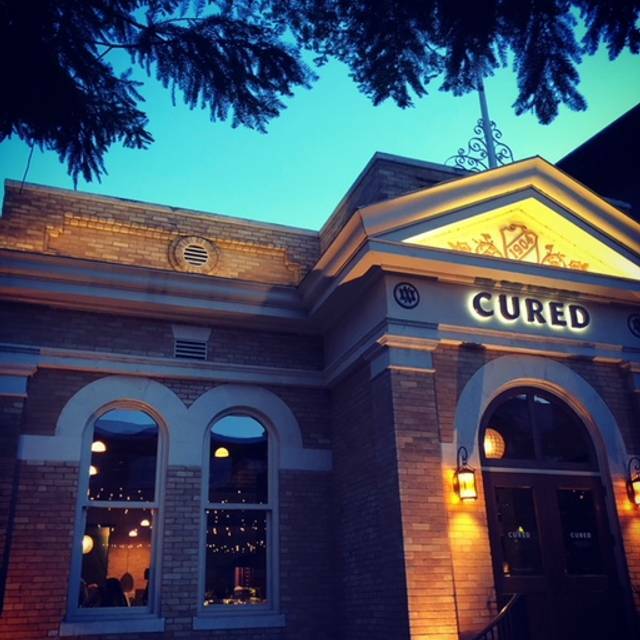 Cured is endowed with a name that celebrates Chef Steve McHugh's successful battle against cancer, as well as the artisanal cured meats that are the cornerstone of his menu. The three-time James Beard Award finalist began his culinary journey on a small farm in Wisconsin and a vibrant decade in New Orleans. This position eventually led him to San Antonio where, with a new lease on life after beating lymphoma, he ventured out on his own to open Cured. McHugh's gastronomic foundation relies on the purity of natural regional ingredients and the hands-on unadultured methods that enhanced his own healing process. This from-scratch focus finds its way to seasonally dynamic menus of cured delicacies from the charcuterie to pickles. All Cured patrons are invited to park at all Pearl Brewery lots located all throughout the entire campus. We liked the food and service but the music was far too loud, more appropriate for a bar than a restaurant. The waitress was amazing and answered all of questions..I wish we could've tried everything. Love this place !!! All the staff is great but Mark is just the best . HH has wonderful cocktails that change seasonally . Quality of food is dynamite . Quail legs , poutine fries and any soup there is phenomenal. Great atmosphere! Great food and service. Charcuterie selection is the best in the city. Had a visitor from out of town and he raved about it. Lauren our waitress was very helpful explaining the menu, very attentive and polite. Great experience. Overall great, but be warned that the charcuterie portions can be very small. You may end up spending more than you intended for more items or leaving hungry. Food was salty in general. "BBQ Shrimp and Bone Marrow" was a major disappoitment - unfresh shrimp, greasy-tasting bone marrow, and extremely salty sauce. Fantastic! 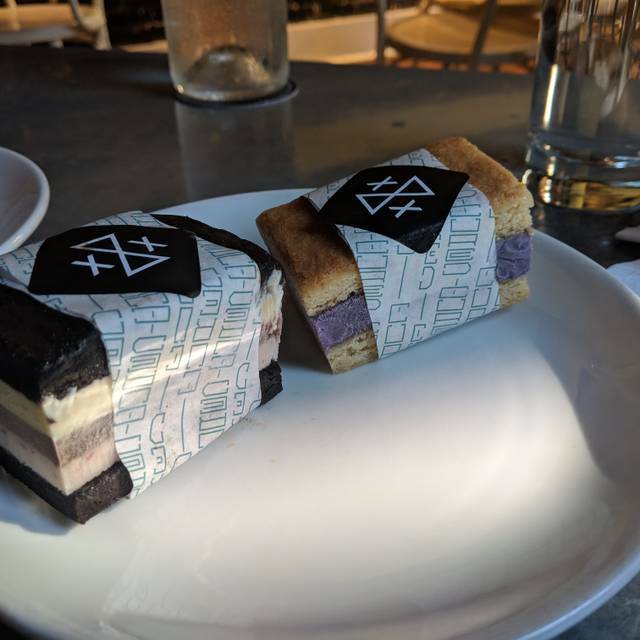 Truly incredible food and a unique take on charcuterie and more. We have been dining here for 5years and it is awesome. 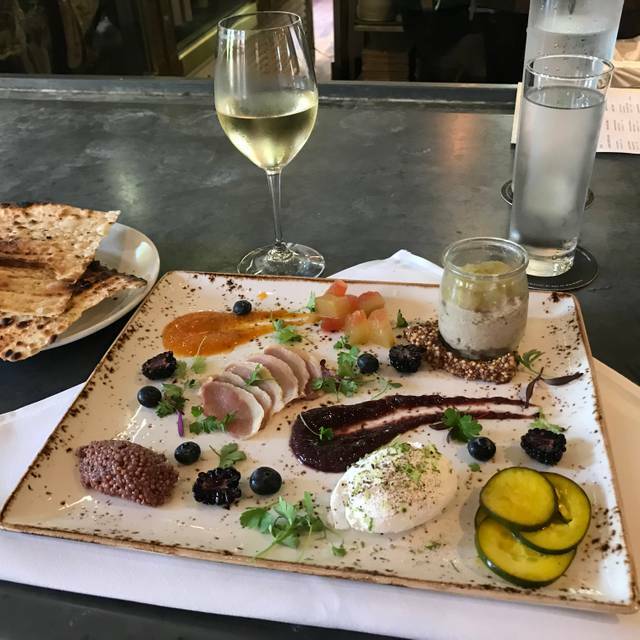 Service is always good and the charcuterie is out of this world. The menu will not disappoint. Cured was fantastic! The food is so incredibly delicious, and the service was outstanding. We were so impressed by the creativity of the cured meats and cheeses, the varieties and quality available, and the incredible taste of everything we had. The cocktails were also fun and delicious! We were fortunate enough to get a tour of the amazing building from the manager, too. I would recommend Cured to anyone looking for a fun, hearty, and delicious meal with a focus on innovate meats. Excellent charcuterie plate of 9 offerings. Masa-fired Oysters were fabulous. Service was perfect. We had the charcuterie and had a wonderful time with our friends trying all sorts of delicious meats, cheeses and accoutrements. The tenderloin was incredible as was the beet and avocado salad. We also found the beer and wine selections to be quite satisfying. It was a memorable experience and we look forward to our next evening at Cured. A nice spot with great open feel and natural light during the day as well as wonderful foods and charcuterie! Great service from the managerial staff. The regular staff seemed less than enthused but was attentive and service was as fast or slow as you wanted it to be. Didn’t feel rushed. Great drinks! 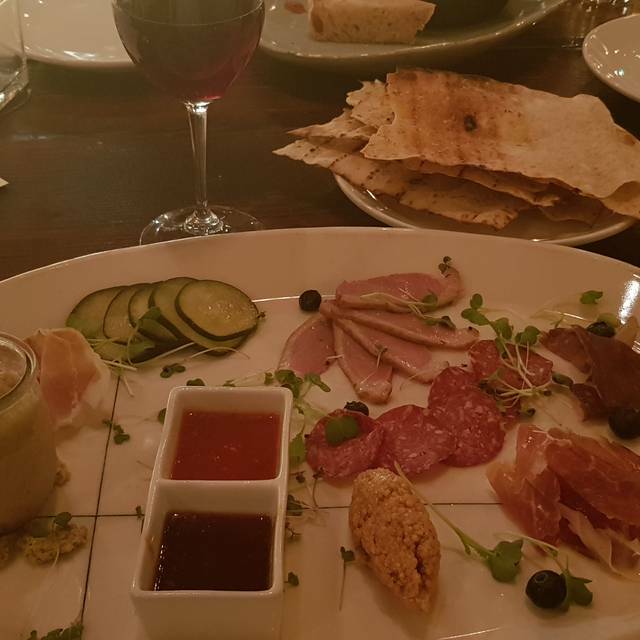 We had a great experience at Cured. The atmosphere, food, service, and craft cocktails were fantastic! Excellent happy hour. We will be back. This is truly a special place, we had the best time! We're from out of town and have dined here several times since they opened. Worth the trip. They continue to be on top of their game and their recent national accolades have not gone to their heads. Always crowded and reservations are a must. We drove into SA earlier than expected on a Friday night, but the hostess was able to seat us within 15 minutes. Had two interesting mezcal based cocktails at the bar while we waited. The food was spot on and the wait staff made great suggestions as we progressed course by course. Charcuterie as expected was great. We also particularly loved the veal tartare, beet salad and lamb neck. Limited, but nice wine list. The mesquite cake with horchata ice cream and a side of Ancho Reyes was the perfect way to cap off the meal. 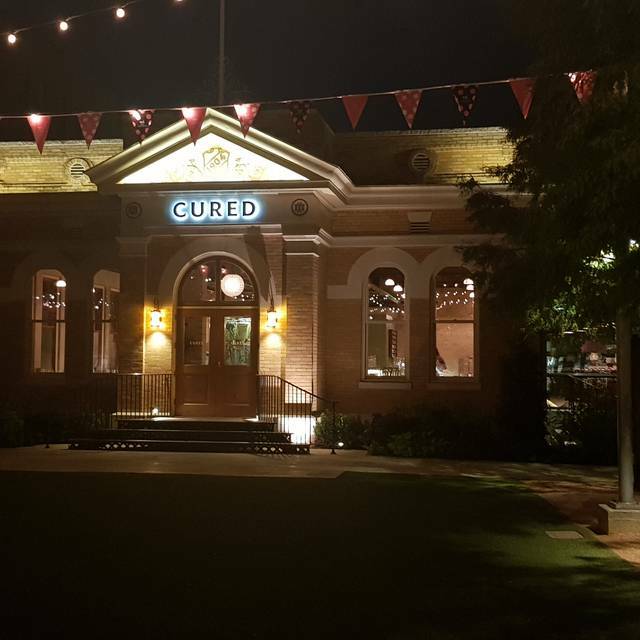 We read positive reviews for Cured and were looking forward to celebrating a special occasion at this Pearl district 'hot-spot'. Very attractive setting and great location in the Pearl. 'Meat closet' draws the eye - in anticipation of a carnivorous treat. With that said, the food was not up to the high-bar we expected - and the prices dictate. The filet was cooked properly (medium rare - our liking) and a nice selection of meat, but it was served marginally warm throughout (at best) - like it had been 'rested' way too long. And the pork tenderloin was under cooked (we don't eat pork rare - maybe others do ...). Management tried to make it right by comping us one of the meals and providing desert - both appreciated. The service was attentive and management was responsive to our criticisms. It's just that for the prices and reputation you'd expect that the Cured kitchen would have their procedures nailed down. Maybe this was one of those 'one-off' oversights … but doubt we will roll the Cured-dice another time. Was a great choice for dinner with brand new wife. Very interesting small plates, One could make a full meal by selecting a variety. Pork chop was cooked spot on. Easy walk from Hotel Emma. One of top three restaurants in San Antonio. It's always a pleasure to eat here. 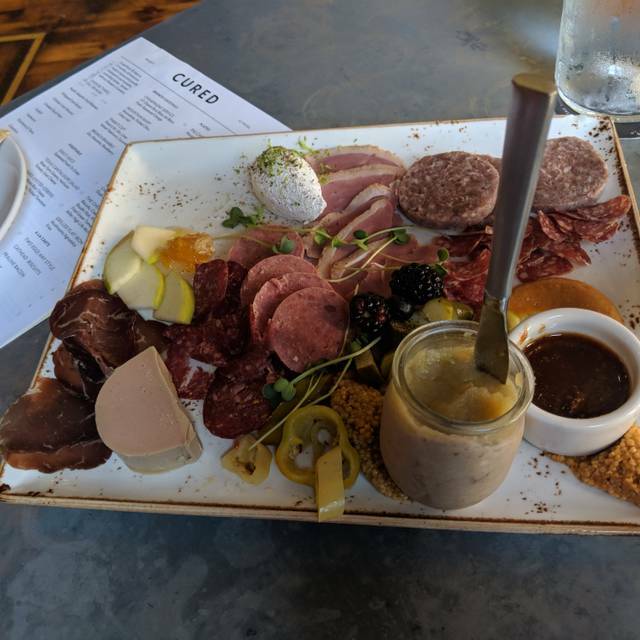 House made charcuterie is excellent. Early afternoon not so crowded. Service a bit spotty, uneven. It was phenomenal. The food was delicious. The ambiance and story behind the building was fascinating. Fabulous food! Different, tasty and fun. Great food, nice waiter, but way too loud for a business dinner. 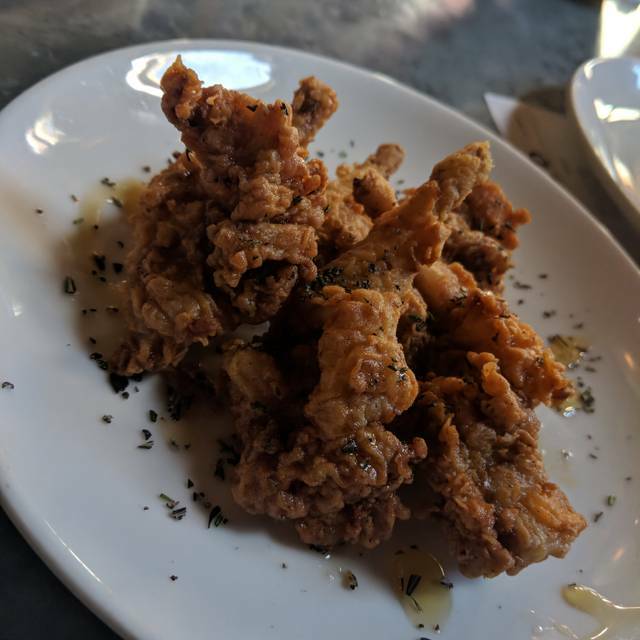 We had an amazing experience at Cured. The staff provided outstanding service and delicious recommendations for dinner. 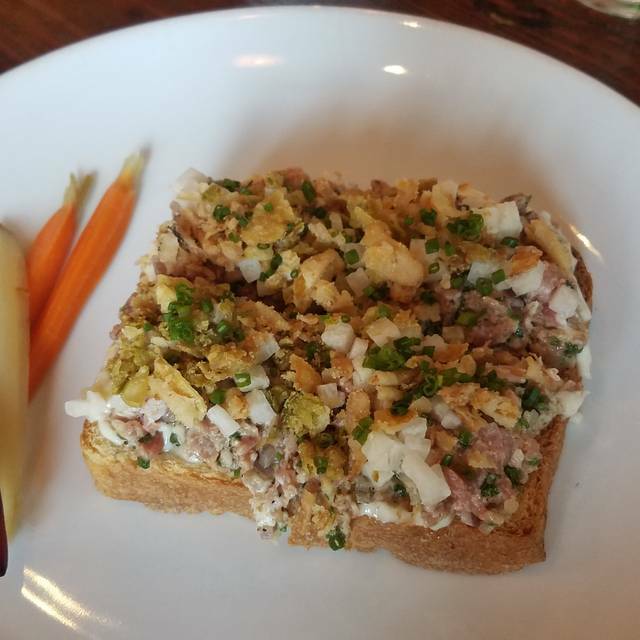 The food was phenomenal and it is easily to see why the James Beard Foundation frequently recognizes this establishment in it’s list of nominees. The menu is exciting with a creative mix of traditional flavors presented with a modern twist. It is clear this establishment will be a staple in the wonderful Pearl district. Highly recommended!!!! First time dining and a great experience. Waiter answered all questions regarding the menu which helped our decisions. The board we chose was delicious along with our bar drinks. However, the flat iron dinner shared with my husband was my least favorite. Prepared rare, when asked for medium. Always disappointing to return a meal while others have finished and your receiving your meal again. Dessert was also very different and good. One time dining experience but memorable. Cure is a real treat! Starting with the service, Mark was outstanding. He would guide us through cocktails and wine and great pairings with food. The menu is very unique. The charcuterie is extensive and excellent. Many unique small plates and entrees. This is one of those restaurants that you wish was in your city. I will definitely return on future trips to San Antonio. Highly recommend Cured for a great dining experience! Although the ambience was wonderful and the building is beautiful, our dishes were cold when they were brought to our table. Not only that but the lamb was a little on the fatty side, not lean - kind of bland. The wine was nice, dessert was okay - a little too complicated. I would have a glass of wine and maybe an appetizer if I was to return. Amazing meats, interesting flavors in the charcuterie accompaniments. Excellent service: friendly, helpful when that was wanted, but also blessedly unobtrusive. For me, the meats might have been still better when in the company of more thoughtful vegetables. The service was excellent and very professional. The food was very well prepared and delicious. I learned some things were available off menu when I asked, but you have to know to ask, and this is a problem, as is the changing menu. I booked expecting one menu and encountered a different one. Proportions were good, but I'd have liked a few more actual fresh vegetables. Prices were reasonable given the context, as it is a high-end restaurant. My biggest problem was that the restaurant was far too noisy. I'm not young and hip. Wonderful experience. Attentive, knowledgeable service, sophisticated atmosphere, marvelous food with beautiful presentation. Highly recommend. Great service and food was fantastic! Grouper, mussels and hanger steak were cooked to perfection.